My wife and I spent a sunny and warm afternoon in the mountains on the east side of Gwangju. There were many signs of nesting around, including a Pale Thrush nest with five chicks, estimated to be about 2-3 days old. 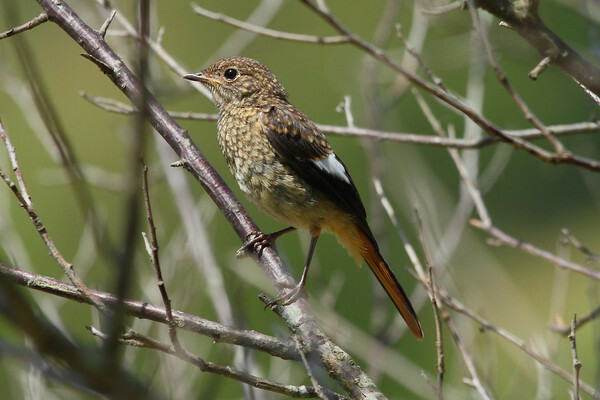 Daurian redstarts were also productive, with three recent fledglings observed with an adult male. New arrivals, like Black-naped Oriole and Oriental Dollarbird are quite vocal, and a few migrants are still about, such as a single Tristram’s Bunting (the first I’ve seen in the Gwangju area). 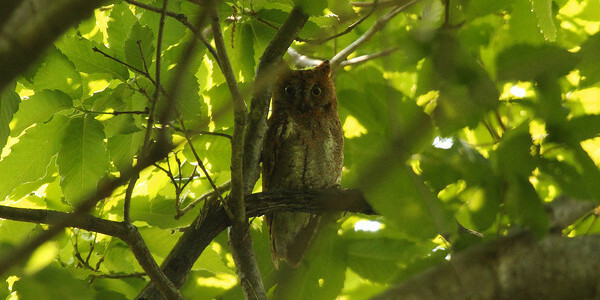 Despite being well into the afternoon, no less than four Oriental Scops Owls were heard. 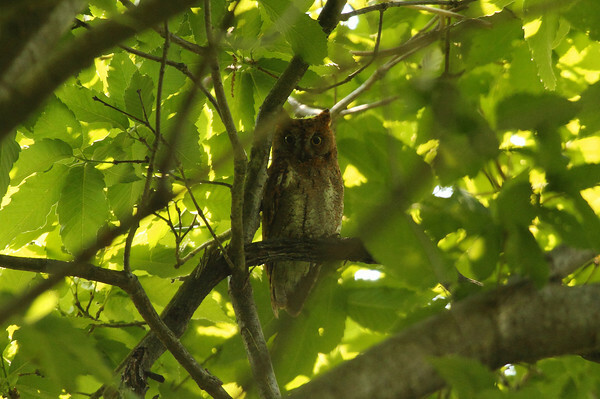 A little patience and persistence finally revealed one of them in a small cluster of deciduous trees. Photos and recordings were taken.